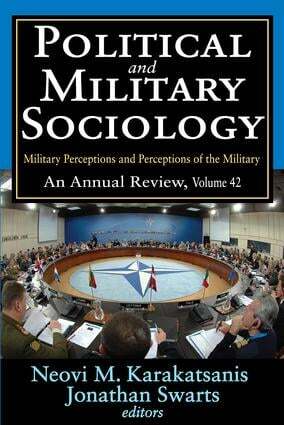 This volume of Political and Military Sociology focuses on the perceptions and identities of those serving in the military, using survey or interview data to explore those perceptions. A range of military forces are examined, including those of the United States, Israel, Norway, and Denmark.The first article, using survey data from Denmark, compares the views of Danish soldiers to civilians. The second article looks at the effects of military education upon the attitudes and values of soldiers. The third article explores Israeli soldiers' attitudes regarding formal military education. The fourth article addresses the impact of Norwegian soldiers' self-identity on military performance.In a different vein, the survey results of the fifth article show that support for soldiers on active duty in Iraq and Afghanistan does not necessarily translate into support for veterans. Military lawyers in the Israel Defense Forces are the subject of the sixth article. This volume concludes with an article that argues that military service should be offered as a legal policy alternative to incarceration.